Part-time faculty at Northeastern University have voted to form a union, supporters announced Thursday — the biggest victory yet for area adjunct professors demanding better pay, benefits, and working conditions. The 961 Northeastern adjuncts became the third and largest group of part-time faculty locally to organize since the Service Employees International Union launched a national campaign in 2012. Part-time faculty at Tufts and Lesley universities previously voted to unionize. The push has broad implications for the local universities, economic engines for the region that have come to depend on the low cost and flexibility of adjunct faculty as tenure-track positions become scarcer. Adjunct faculty at Northeastern, where 52 percent of faculty are part time, praised the vote on Thursday, saying they hoped it addresses inequities on the campus. In addition to lower pay, part timers almost always have a higher course load than full-time professors, said Cal Ramsdell, who teaches business and English as a second language at Northeastern. She said she hopes the vote will inspire adjuncts elsewhere to organize. Out of 961 Northeastern adjuncts eligible to vote, 323 voted to join the Adjunct Action union, while 286 voted against joining, according to the SEIU. Union officials said the ballots were counted by the National Labor Relations Board on Thursday after a multiweek mail-in vote. Supporters of the union effort have been emboldened by the growing ranks of adjunct faculty nationwide. In 1975, 30 percent of faculty across the country were employed part time, according to the American Association of University Professors. Today, part-time faculty account for more than half of college teaching jobs, and about 76 percent of higher education instructors hold non-tenure-track positions. Nationally, adjunct faculty are paid on average about $3,000 per three-credit course, the SEIU said. About 80 percent of them do not receive health insurance from their college, and about 86 percent do not receive retirement benefits. The SEIU launched its Boston-area campaign last spring when it met with part-time professors from more than 20 local colleges to discuss their interest and efforts to unionize. In September, Tufts adjuncts became the first local group to unionize in recent years. The group of about 280 part-time faculty is negotiating with university officials to draft their first contract, union officials said. A month after the Tufts vote, a push to organize at Bentley University in Waltham fell two votes short. In February, about 700 adjuncts at Lesley in Cambridge voted to unionize. Those faculty will enter negotiations soon. In addition, part-time faculty at Emerson College embraced a union in 2001. Campaigns are underway at Boston University, Simmons College, and other area schools that SEIU officials have declined to identify because part-time faculty there are not ready to publicly announce their intentions. Adrianna Kezar, a professor at the University of Southern California who studies higher education workforce issues, said campus administrators have been pressured for about three decades to find a way to improve compensation and work conditions for adjunct faculty. “This movement is a natural outcome of apathy among institutions to address what has been documented as a problem,” Kezar said. “I think some institutions are waking up, but overall, the passivity is staggering,” she added. 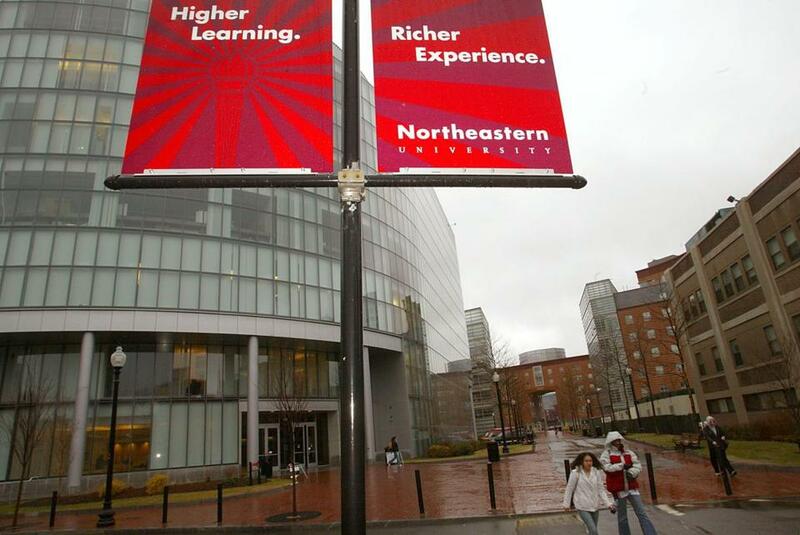 At Northeastern, the push to unionize adjuncts had faced some resistance, according to union officials. The university hired a law firm with an anti-union reputation, the officials said, and some university administrators had warned that unionization might be bad for students and even for some of the adjuncts. William Shimer, a part-time business instructor at Northeastern, said he left behind more-lucrative careers as a lawyer and entrepreneur to become an adjunct professor six years ago. “I love teaching. A lot of us do this because we love what we do,” he said. But pursuing a passion sometimes causes workers to make significant sacrifices. Unionizing “will manifest itself in better pay — of course — but also in better professional development, job security, office space, access to copiers and printing services,” Shimer said. By addressing such basic benefits, adjunct faculty will be able to focus more of their attention on teaching, he said. “We think it’s going to be terrific for Northeastern University and for other universities that are organizing across Boston and across the country,” he said. Matt Rocheleau can be reached at matthew.rocheleau@globe.com. Follow him on Twitter@mrochele.